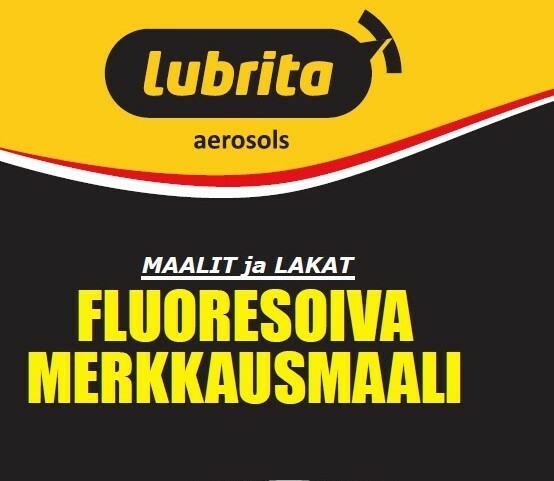 LUBRITA FLUORESCENT FOREST MARKERS successfully introduced in the market! • Ideal for wood, metal, concrete, asphalt and stone marks, and much more. Use spray from a distance from approx. 20-30 cm on the treated surface. After a short impact time, wipe the contamination with a rag. Keep out of the reach of children. Keep away from sources of ignition - No smoking. Do not breathe vapour/spray. Use only in well-ventilated areas. Dispose of this material and its container to hazardous or special waste collection point. Pressurized container: protect from sunlight and do not expose to temperatures exceeding 50°C. Do not pierce or burn, even after use. Do not spray on a naked flame or any incandescent material. Buildup of explosive mixtures possible without sufficient ventilation. Fluorescent forest markers available in different many colors!!! Please contact us for additional information by phone or email.